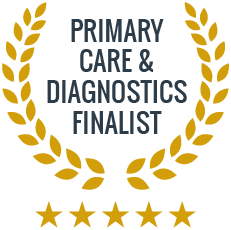 In addition to our comprehensive Wellman and Wellwoman checks, we provide health screening and examination relating to specific conditions. These value-for-money checks and tests give peace of mind, a plan for the future and include a consultation with an experienced doctor. An initial blood pressure consultation at our walk-in clinic will include an assessment of lifestyle and cardiovascular risk and a blood pressure check. You will see an experienced doctor who will discuss appropriate next steps with you, lifestyle changes and medication. Subsequent routine follow-ups can be organised at a reduced cost by speaking to the clinic manager if you plan to return regularly. 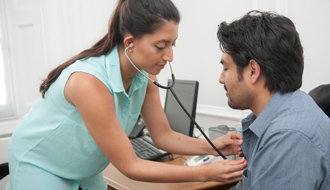 A 24 hour blood pressure monitoring service is available at our Harley Street branch. This will help us understand what is happening with your blood pressure over a whole day and night to come to a firmer diagnosis. If you have a family history of heart disease, high cholesterol or stroke, or if you are concerned about your cholesterol, our cholesterol profile will tell you exactly where you’re at. Some clinics only test your total cholesterol level which is a poor indicator of what’s going on. Our profile breaks this down into several important components, including the levels of LDL “bad” cholesterol, HDL “good” cholesterol and triglycerides, which gives you and the doctor a clear idea of the current status. As part of your initial screening, we recommend a full blood profile which includes a comprehensive lipid profile. This test additionally details the state of your kidneys, liver, blood count, uric acid and 40 different important elements. The consultation with an experienced doctor will cover lifestyle and dietary changes and medication options should your cholesterol level be resistant to lifestyle improvements. You will see our senior nurse for an express medical which includes height, weight, BMI, fat content, O2 saturation, blood pressure, a urine dipstick, and also features our unique Full Blood Profile, which can give an excellent overview of your health. The express medical is £220. We also offer consultations for all other conditions and a full range of medical testing. Depending on the type and scale of medical you will agree with your doctor the delivery of results. Yes, a 24 hour blood pressure monitoring service is available at our Harley Street branch and the doctor might refer you if you feel that your blood pressure tends to fluctuate dramatically throughout the day or if you suffer from “white coat syndrome”, where you blood pressure tends to be much higher when taken by a doctor than when taken at home. Should I get my thyroid checked? Thyroid checks are recommended if you have a family history of thyroid disorder. Women can start experiencing thyroid-related symptoms as early as their late teens and 20s, particularly if another family member has a thyroid condition. In general, it is recommended you begin getting regular check-ups around age 30, or at any point when you have concerns. There are a number of possible causes of high cholesterol, but it can indicate that the body is working harder than normal to maintain balance.